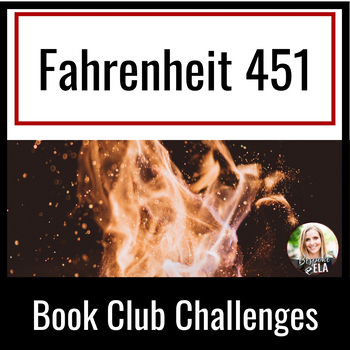 This is a series of four challenge activities for a Fahrenheit 451 Book Club. 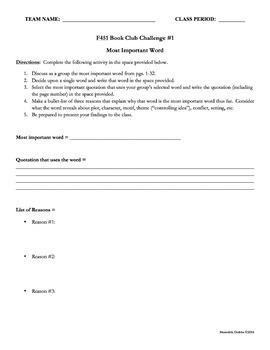 These activities engage students in active discussion and debate within the group and with the entire class. 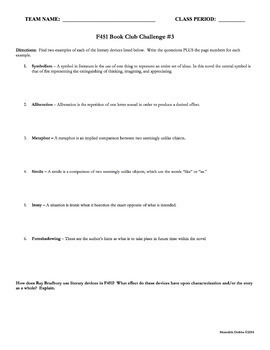 I used these book club challenges with my freshmen classes and set up the book club groups as teams. Each group formed a team name, and we turned each challenge into a competition that I would score. 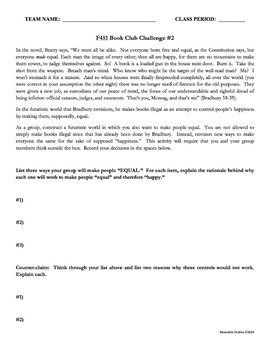 The winning team or teams would earn points, and at the end of the novel study, the winning team received bonus points on the test. This is a great way to get students involved with literature in a fun, competitive atmosphere. My students ask me all the time when "our next challenge is going to be." Editing the Essay for "Academese"